Since we are in a series all about home management, we kind of need to talk about de-cluttering, right? I mean, it is the first step in managing the cleanliness, and organization of your home. So we are going back into the archives and bringing this interview with Dana White from a Slob Comes Clean back. This was originally episode 13 and chances are, you have not heard it yet. It is full of grace, and practical tips that will help you take control of the clutter in your home. Enjoy! A Slob Comes Clean is the completely honest (and never-ending) story of Dana White’s personal “deslobification” process. 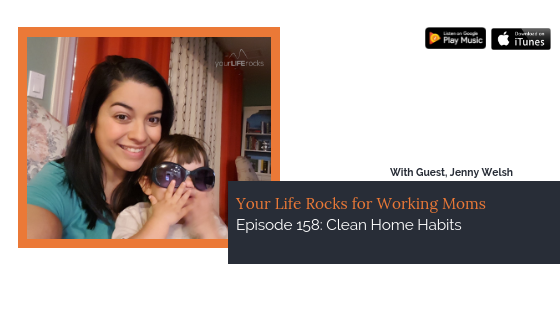 As she find ways to keep her home under control, she shares the truth about cleaning and organizing strategies that actually work in real life for real people. People who don’t love cleaning and organizing. Dana K. White. is a blogger, speaker, and (much to her own surprise) Decluttering Expert. She’s also the author of How to Manage Your Home Without Losing Your Mind. Start your decluttering in the spaces you see everyday… not spaces that are hidden away like a closet. Don’t think about it as organizing… your just taking things away that you don’t need or want. Dana White of ‘A Slob Comes Clean’. Book: How to Manage Your Home Without Losing Your Mind (available wherever books are sold). Okay, we have to address something right off the bat. I know I sound different. I have a cold. Now, most Podcasters have their episodes so far out in advance that they don’t have to record when they have a cold… and usually, that is the case for me as well. But ya know, sometimes we fall behind. I am coming off a super full season of life that required a lot of working hours at my day job and I am just catching up. I know you can relate to that, so please give me some grace with my voice this week and pray that it gets better fast. Now, let me tell you why I am so excited. This is not something that I tell everyone because it’s the kind of thing that will make people sum you up and judge you really fast. So please, don’t judge… I love to clean. I love to sort through stuff, organize things, get into deep cleaning, and getting rid of things brings me a world of joy. Its my stress relief. If I could have another career (like I need one) I would be a professional organizer. I totally would. Like it or not, it takes time to do and if you don’t have a solid strategy and if you are not intentional about creating the home you desire, it just won’t happen. Step one: Get clear about your intention. What kind of home do you want to have? What is important to you? What does “clean” mean to you? If you need help gaining this clarity, I recommend that taking the Weekly Success Planning Course. In the first lesson, I’ll walk you through an exercise that will help. Remember, it needs to be what you and your family want, not what someone else wants or what people tell you it should be. Step two: Think of the current situation of your home compared to your intention. Then, make a brain dump list of everything that would need to be done to get your home to where you want it to be. Step three: Go through your list and decide how often the task needs to be done. Annually, quarterly, monthly, biweekly, weekly, or daily. Step four: Go through and assign the tasks. Who will do what in your family? What tasks will you hire out for? Don’t make it such a big deal. If you view it as chores or a big project to organize your home, it’s going to feel big and hard. So, think about it as if it’s just another thing. Do you and serve your family. Don’t worry about what everyone else is doing, focus on what works for you. Get buy-in from your family. Share your vision of what you want to create with them and why it’s important to you. It will help to get their buy-in with the tasks that they will need to take on. Find ways to make it fun!